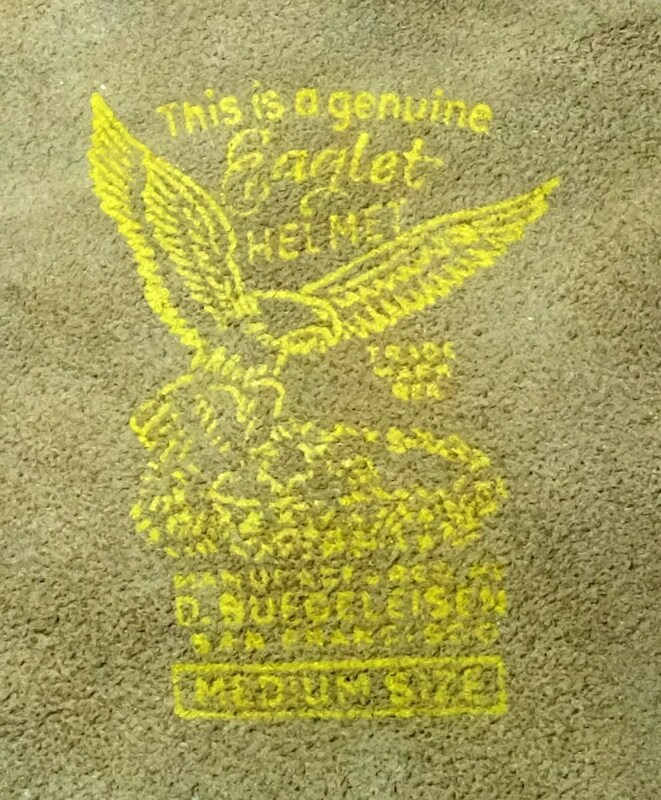 Strauss & Buegeleisen was founded in 1910 by Elias Buegeleisen of New York, and produced shatterproof aviators goggles under the Resistal name. Younger brother Joseph Buegeleisen and David Buegeleisen joined the company, with J. heading up sales in the Detroit area and D. as the West Coast representative. 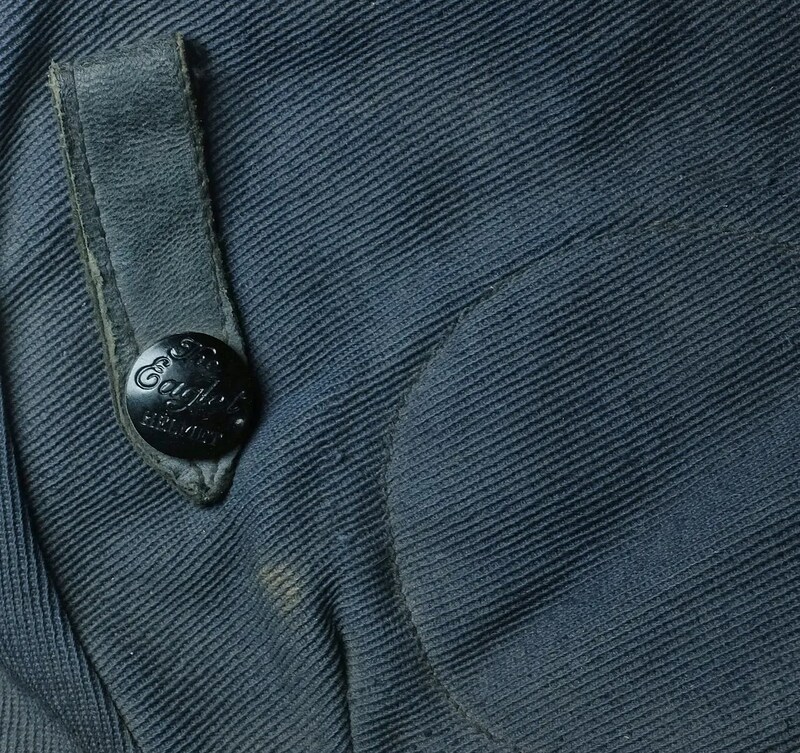 Joseph split from the family business around 1937 to found what would become Buco. 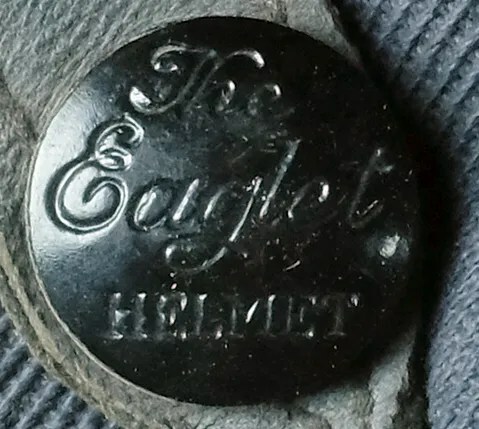 D. Buegeleisen split slightly earlier and began production of these Eaglet helmets, marketed, like the other related family businesses, to the aviation and motorcycle markets. 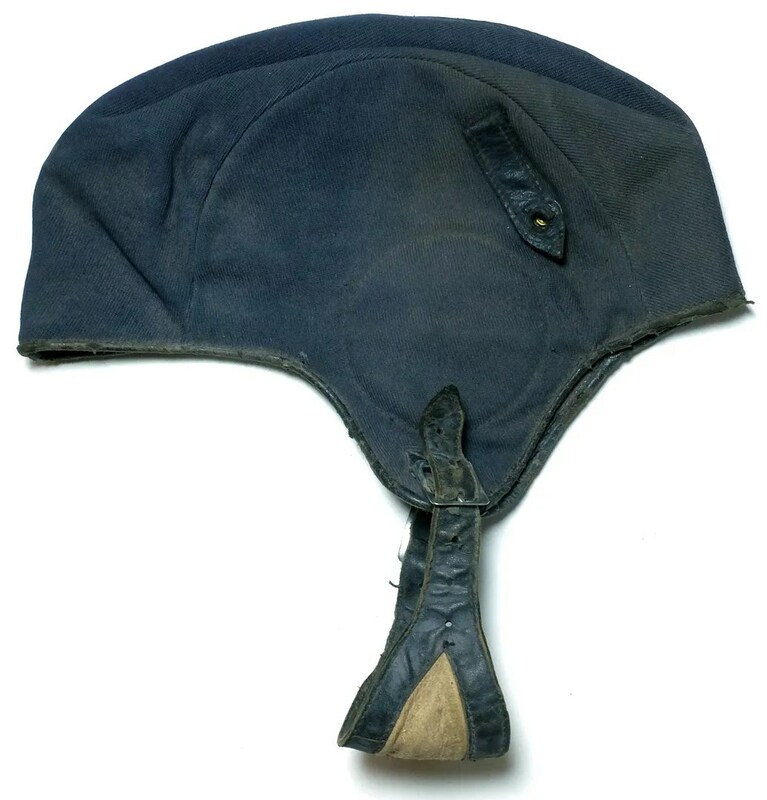 This cap has a navy blue cotton twill shell with a leather lining and trim. 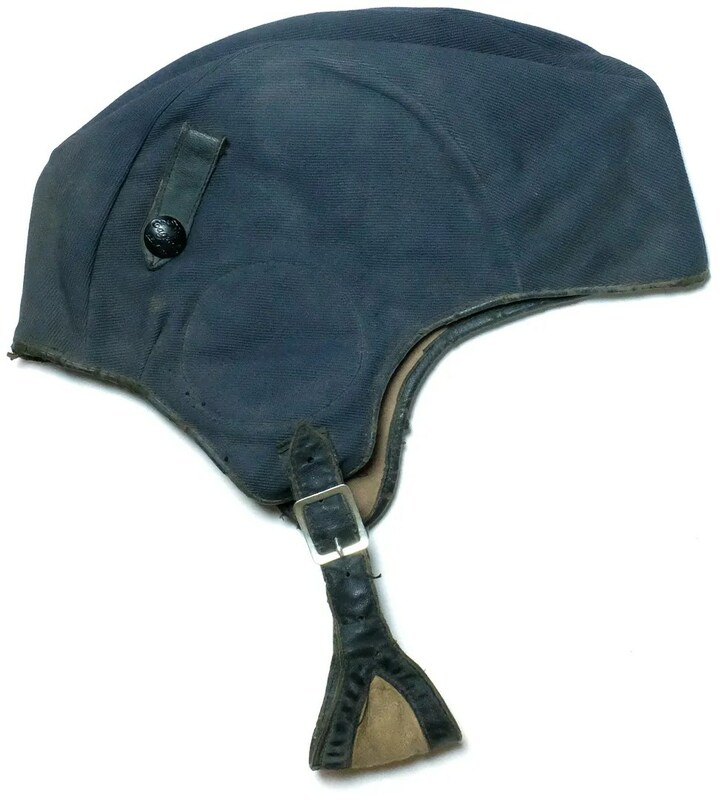 It has leather straps to hold on goggles with early style branded snaps. 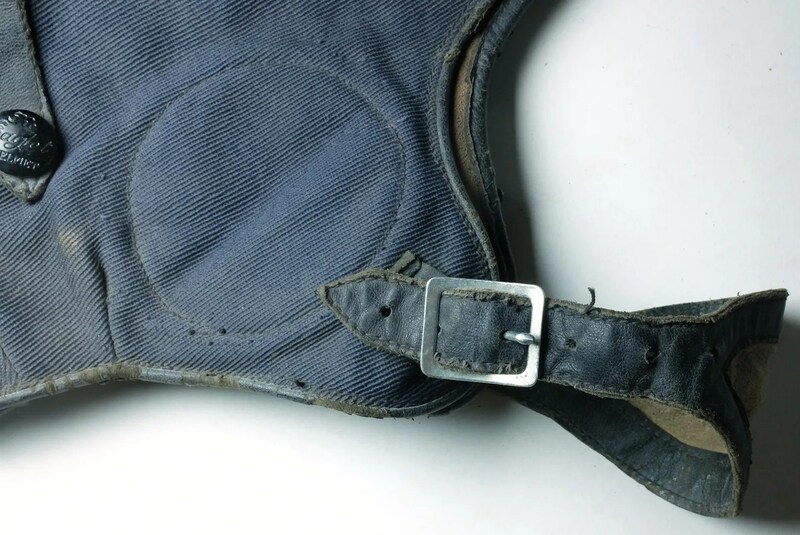 This one is tagged a size Medium and measures 20-1/2″ in circumference. 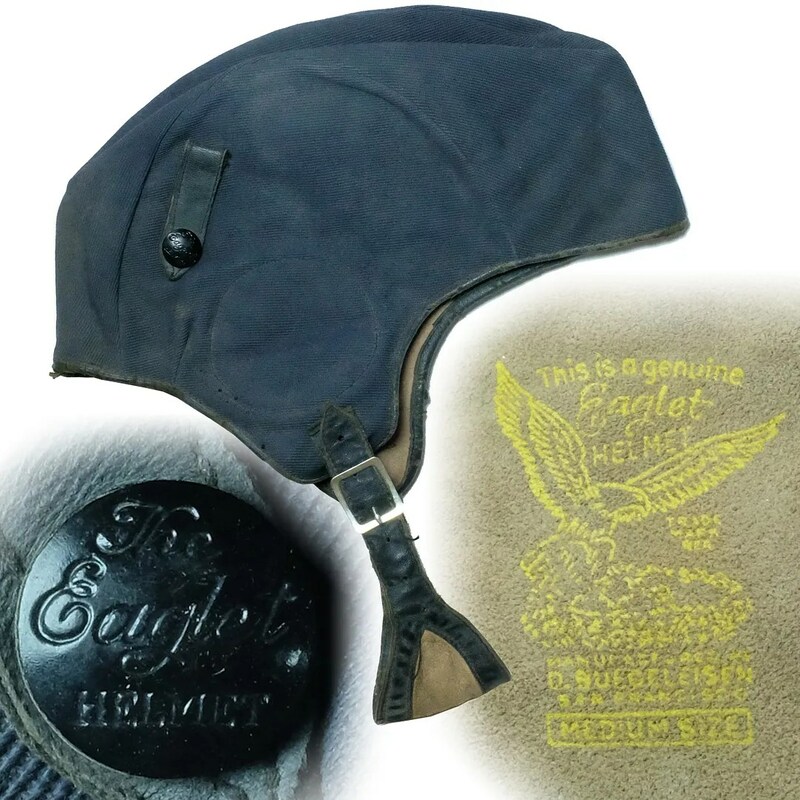 This entry was posted in Hats and tagged 1930s, aviation, aviator, Buco, Buegeleisen, canvas, clothing, Detroit, Eaglet Helmet, fashion, helmet, leather helmet, motorcycle, San Francisco, style, vintage by Spencer Stewart. Bookmark the permalink.